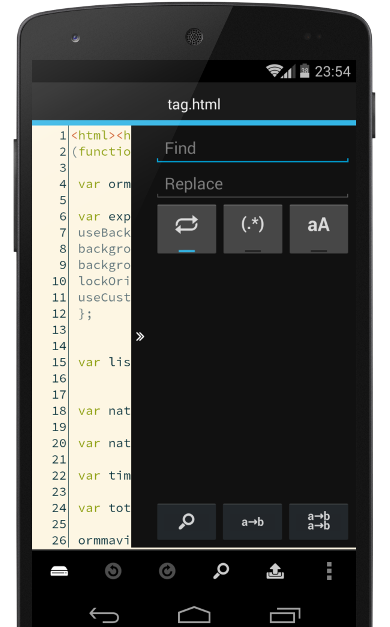 A source code and text editor for Android. 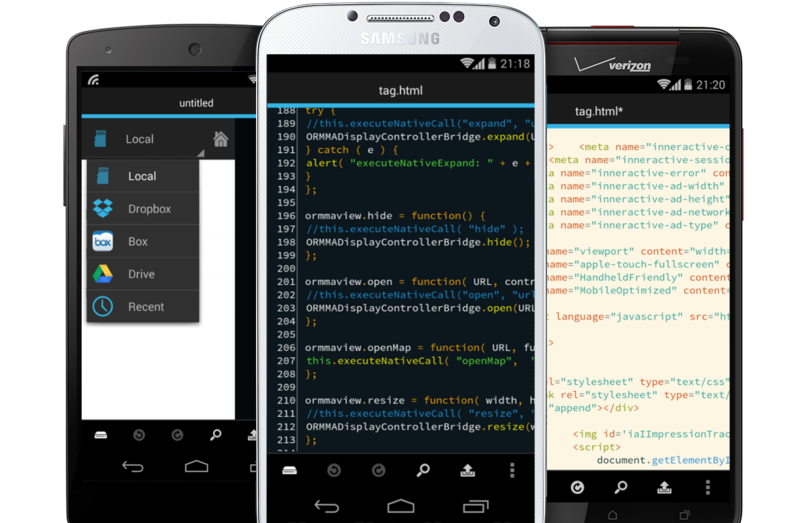 Your one stop for code editing on the Android platform. Take your work everywhere. Code while you're waiting for the bus or when you're relaxing in a nice beach. Edit your files directly from the cloud. DroidEdit works with Dropbox, Drive, Box, (S)FTP servers and Git. More file providers coming shortly. Syntax highlighting for almost 200 different programming languages. Don't rush to your office if you receive an emergency call asking you to change some code. 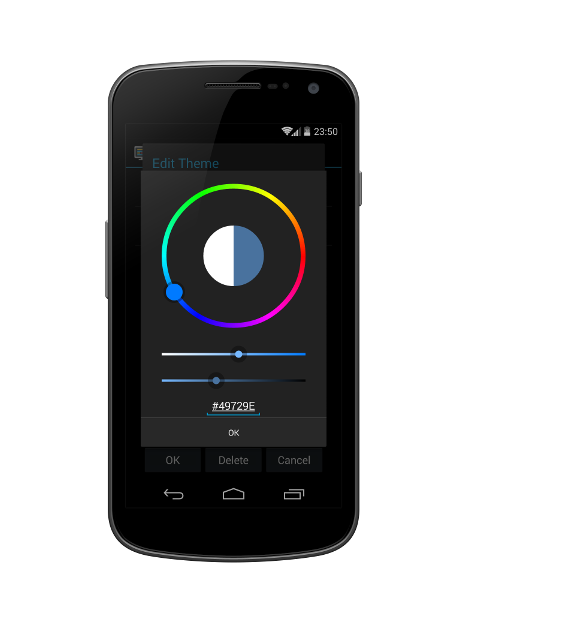 Just pick your mobile phone and edit everything you need. All your files at your fingertip. 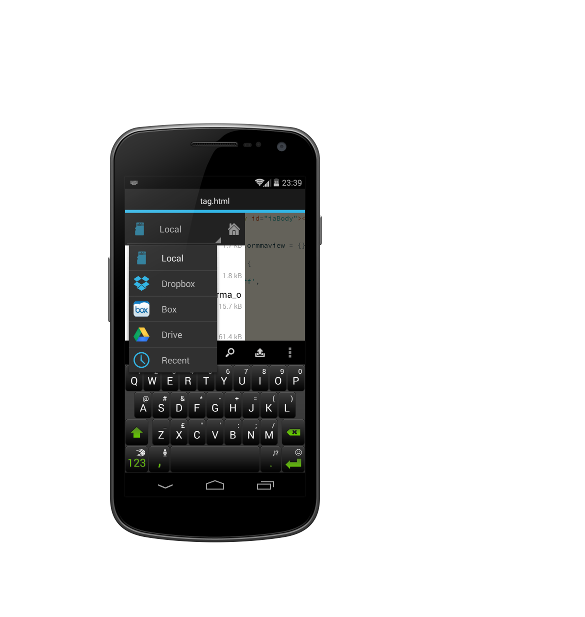 Checkout, edit, commit and push directly from your phone or tablet. Some developers prefer dark backgrounds, others can only code on paper white screens. To each his own. 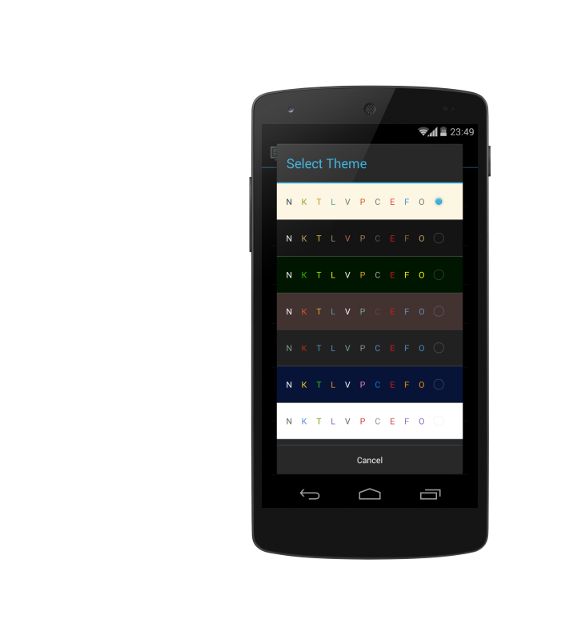 Use one of the many provided themes for syntax highlighting. If you don't like any, create your own. Syntax highlighting support for almost 200 different languages. Tools to help you achieve your goals easily. Expand simple expressions into full fledged HTML code automagically using Emmet. Search and replace text using normal text or regular expressions. Extra keyboard line with those hard to type coding symbols. 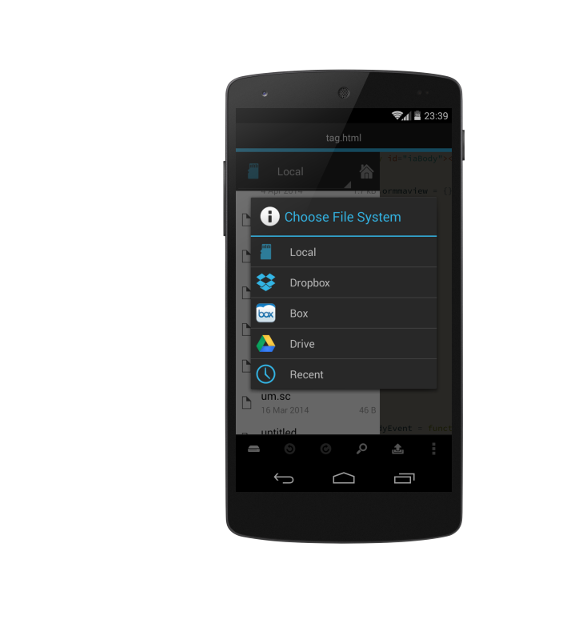 Open and modify virtually any file on your rooted phone.